11 in stock Free Shipping! 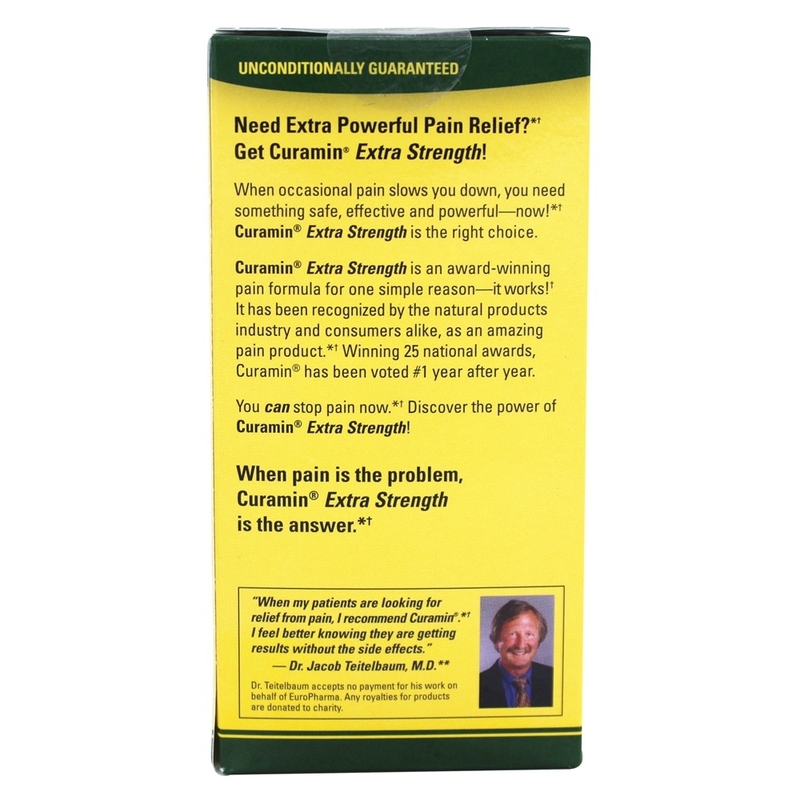 Curcumin (Curcumin longa) - Curcumin, a compound found in the spice turmeric, is associated with many benefits, including: immune system modulation, protection from oxidative stress, and support for a healthy inflammation response. The specialized extract in this formula has up to 10 times the absorption and blood retention time of standardized 95% curcumin extracts. 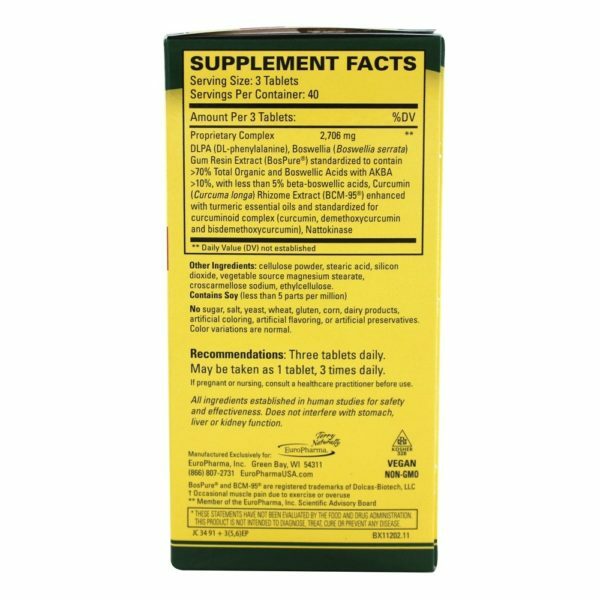 Nattokinase - The enzyme nattokinase helps promote blood flow, aiding the other ingredients in the formula to reach all areas of the body. 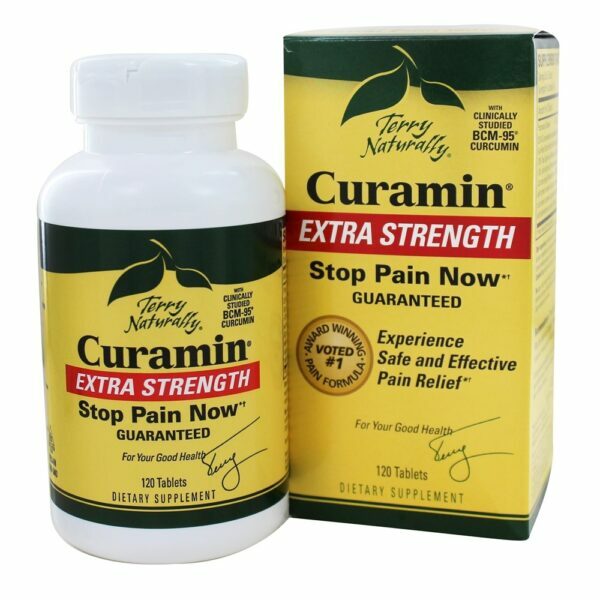 EuroPharma Terry Naturally Curamin Extra Strength stops pain now, and experience safe and efective pain relief. 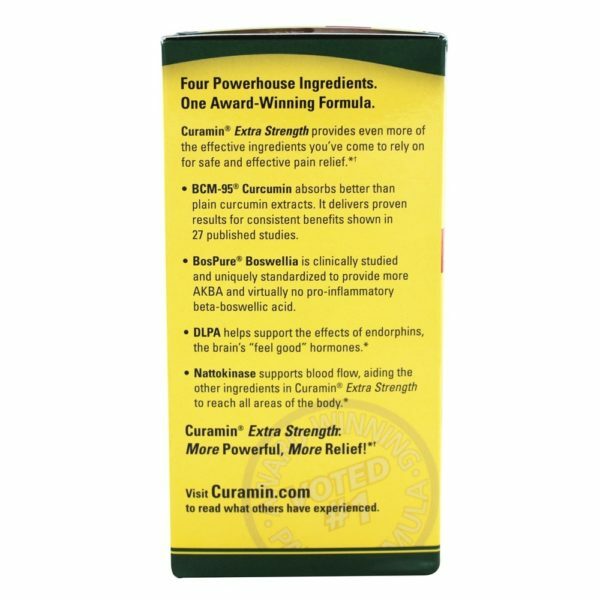 For extra powerful relief, Curamin Extra Strength is the answer! Curamin Extra Strength provides even more of the effective ingredients you've come to rely on for natural pain relief. Proprietary Complex, DLPA (DL-phenylalanine), Boswellia (Boswellia serrata) Gum Resin Extract (BosPure) Boswellic Acids with AKBA >, with less than beta-boswellic acids, Curcumin (Curcuma longa) Rhizome Extract (BCM-95) standardized for curcuminoid complex (curcumin, demethoxycurcumin and bisdemethoxycurcumin), Nattokinase, Other Ingredients: cellulose, stearic acid, silicon dioxide, croscarmellose sodium, ethylcellulose (modified cellulose), vegetable source magnesium stearate. Contains Soy (less than 5 parts per million)Contains no: sugar, salt, yeast, wheat, gluten, corn, dairy products, artificial coloring, artificial flavoring, no preservatives. It contains natural ingredients. Color variations are normal. One tablet daily. May take as one tablet three times daily, or as needed.